Whether you love to spend your leisure time visiting the eclectic shops and restaurants on Main Street, enjoying the laid-back beachfront, or walking down the second-largest wooden pier in California, Seal Beach is a haven for many homeowners. In fact, Seal Beach's high home ownership rate, the concentration of college graduates, charitable giving, and the low crime rate has landed it on Forbes' list of Friendliest Towns in the U.S. — and for good reason. With its quaint vibe and family-oriented atmosphere, this tight-knit community is an incredible place to call home. With far more sunny days than the national average, Seal Beach offers its residents hours of outdoor enjoyment — no matter the time of year. If you're looking to maximize your outdoor spaces at home in this cozy beach-side town, Cutting Edge Landscape Design can help you elevate your landscape design and construction. Whatever your vision — cheerful flower gardens, an outdoor kitchen, or perfectly manicured artificial turf — we can turn your vision into a reality. 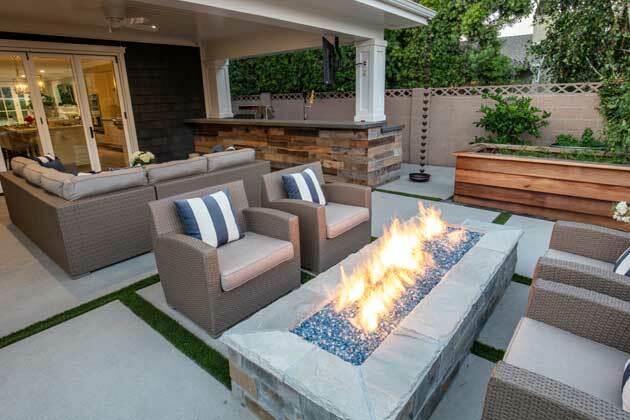 Designing a unique outdoor living space is one of the best ways to optimize sunny days and gorgeous sunsets at your Seal Beach home. In addition to adding beauty and value to your property, incorporating creative landscape construction helps you get the most out of the time you spend with friends, family, and neighbors. When you, your guests, or your family are navigating your property, it should always feel like a smooth and cohesive experience. That's why it's so important to integrate all the elements of your outdoor space with walkways, patios, and staircases that help tie it all together. Created from materials that will complement your outdoor living spaces and home, our walkways can add an extra element of elegance to your home design. Daydream about cooking up a family dinner on weekend nights? Wish you had a curated area to host your friends for a BBQ? There is nothing like an outdoor kitchen to elevate your hosting experience and provide year-round entertainment for your family. At Cutting Edge, we design outdoor kitchens based upon what you're most likely to need — including outdoor sinks, grills, and mini-fridges built right in. Even on cool fall and winter nights, there's nothing like maximizing the amount of time you get to spend outside — all while staying perfectly cozy! Our safe, efficient outdoor gas fire pits are designed to extend the amount of time you can enjoy outside enjoying your home. Love the idea of staying out past sunset, enjoying a drink with friends on your patio furniture, and polishing off a perfect day? With adequate lighting, your guests and family will not only feel safe even past — but your property will be illuminated with elegant and beautiful lighting. 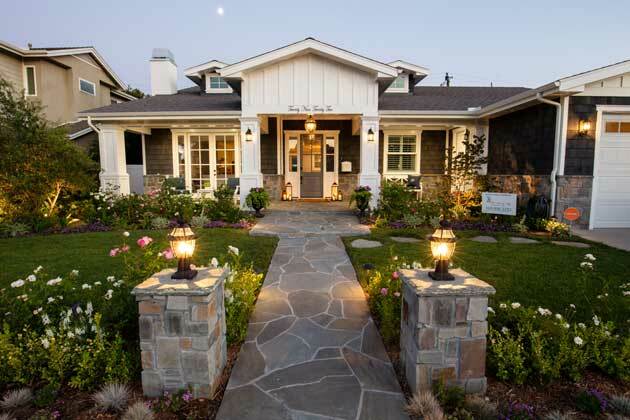 We can customize outdoor lighting to flow seamlessly with your landscape and create a beautiful ambiance. Though you probably love spending time at the spacious, uncrowded beaches of Seal Beach, there's something incredible about enjoying a dip in your own private pool. With varying shapes, sizes, and depths, we handle pool landscaping and construction that works perfectly on your property. In addition to the pool itself, we pay special attention to custom patios for improved safety (and a beautiful aesthetic) near your pool. Your outdoor spaces should be catered to fit your needs and lifestyle. At Cutting Edge, we work with you to make sure you're getting the service you need, at every step of the process. If you'd like to get in touch to schedule a consultation for landscape design and construction, please don't hesitate to reach out to us today. Low water landscaping. Designed to require less water, low-water landscaping has another benefit: less maintenance for you. Enjoy your beautiful low-water landscape, without the pressure of hours and hours of upkeep. Garden design. Always dreamed of a beautiful herb garden? Vegetable garden? Or flower garden bursting with color? We can help get your dream garden started at your home. Xeriscaping. An incredible new technique that uses elements like gorgeous stones and low-water plants, xeriscaping is a revolution in landscaping that requires little to no water. 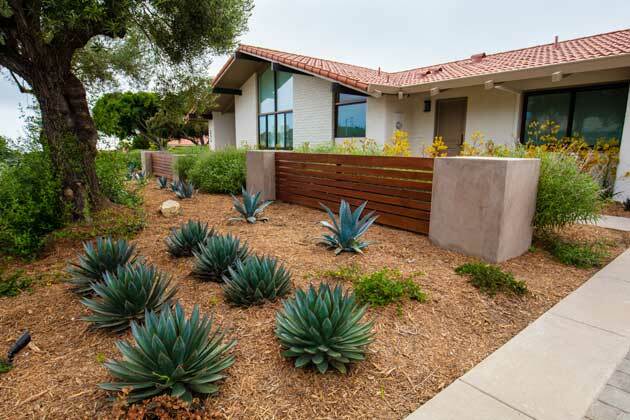 Though some might mistakenly believe xeriscaping only involves cacti, the process actually uses innovative techniques, varied elements, and low-water plants to create a gorgeous, unique, and sustainable landscape. Artificial grass. Want the green spaces, but without all the wasted water and labor of lawn mowing? We don't blame you. 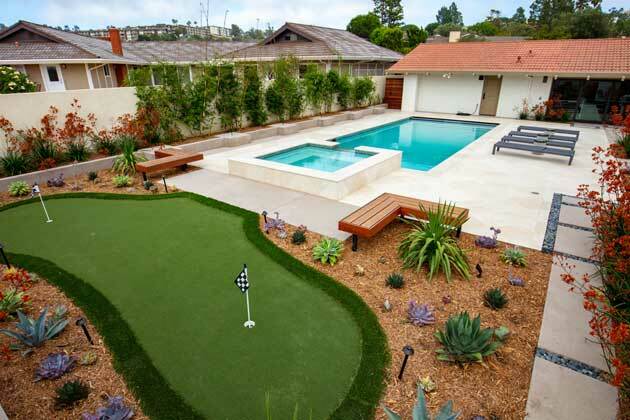 Our artificial grass installation means that you'll have the enviable lawn without all the hassle. Succulent garden. Coming in a variety of shapes, colors, and textures, succulent gardens are a gorgeous, conservation-minded way to bring variety and excitement into your landscape design. Native plant landscaping. 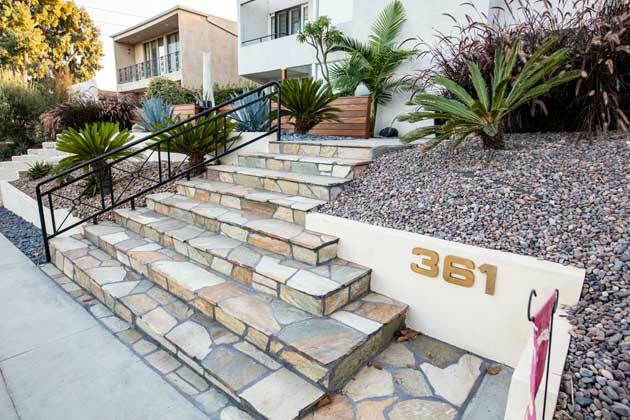 By landscaping with plants that are native to Seal Beach, we ensure a landscape that requires less water, fewer fertilizers, and less maintenance. In addition, native plants are a gorgeous addition to any property and help support the local ecosystem. At Cutting Edge Landscape Design, we specialize in catering out landscapes to suit your vision. 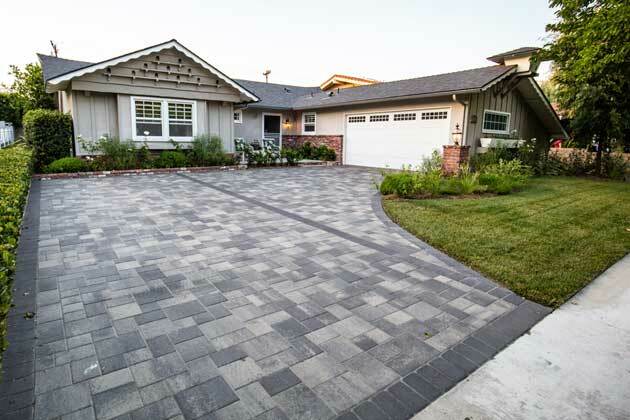 Our trained experts apply their skills to a variety of landscaping needs - from creating drought-resistant landscapes specialized to Seal Beach, to simply creating an elegant, low-maintenance landscape. College educated staff. Our experts understand Seal Beach's local ecosystem, building codes, and architecture. Licensed general contractor. Because of our licensed status, we can get all the permits necessary to complete your project. Experienced & local. Our local knowledge and years of experience set us apart.